Brazil may finally see the opening of its first duty free border stores in December, following the election of Jair Bolsonaro who will succeed Michel Temer as president on January 1. ASUTIL Secretary General Jose Luis Donagaray, in a press briefing held last week, says he expects one or two small operators could open the first Brazilian border shop towards the end of this year. But he expected that the bigger operators would be unlikely to open until the end of Q1 2019 or in Q2 2019. See full report on page 1. In more updates from ASUTIL, Donagaray reports that Argentina has increased the duty free allowance for arriving passengers and that registration is now open for the Duty Free & Travel Retail Summit of the Americas. Page 1. 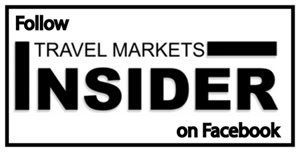 Travel Markets Insider sat down with Marshall Farrer, Brown-Forman’s Senior Vice President, Managing Director, Global Travel Retail & Developed APAC, at the Louisville headquarters of the American Whiskey giant, to discuss what lies ahead. With Jack Daniel’s leading the way, a growing portfolio of bourbons featuring Woodford Reserve and Old Forester, and new scotch and Irish whiskeys in the fold, Farrer tells TMI that he is bullish for the future for the company’s portfolio in travel retail. Farrer’s candid and far-reaching interview begins on page 4. Michael Pasternak reports. Airport food & beverage operator SSP, in a joint venture with Duty Free Americas, is entering the South American travel retail market with contracts in two of Brazil’s main international airports in Sao Paulo and Rio de Janeiro. Details on page 2. Paradies Lagardère closed the acquisition of Hojeij Branded Foods (HBF), a leading airport restaurateur in North America, on Nov. 20. The acquisition is part of Paradies Lagardère’s strategy to strengthen its position as a major restaurateur in North America airports. Combining the activities of Paradies Lagardère and HBF creates the third-largest operator in the North American airport travel retail and restaurant industry. Page 2. Starboard Cruise Services invites guests to “Shop Royally” on Symphony of the Seas, the world’s largest cruise ship. Aligning with Royal Caribbean‘s adventurous approach to discovering and exploring the world, Starboard has custom-designed the onboard Royal Shops in a three-deck high shopping arcade covering almost 8,000 square feet. Page 3. In a major boost to its growing cruise business, Dufry Group has signed a new long-term concession contract with P&O Ferries to operate shops under the World Duty Free brand on board 15 vessels that serve several routes across the Channel, the North Sea and the Irish Sea. Page 3. Edrington sells Cutty Sark to La Martiniquaise-Bardinet. The two companies announced that they have concluded the agreement and the transfer should take place within a month. Story on page 1.